Galaxy Note 10.1 bigger and better screen offers a lot more options to play with the S Pen. Too bad that powerful beast under the hood is restricted by exaggerated user interface and poorly optimized software. 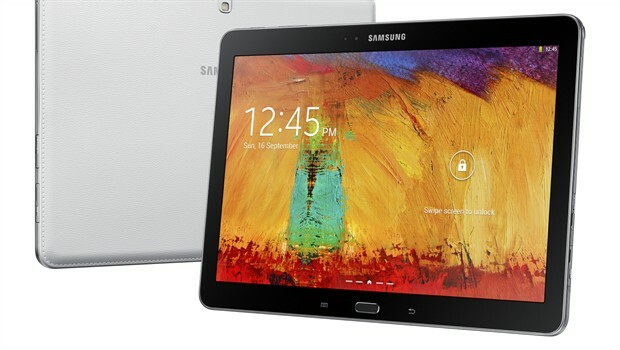 How much Samsung with Galaxy Note 10.1 succeeded in creating a digital notebook? The answer to this question can have interesting consequences, because I doubt that South Koreans are only interested in niche users such as architects, engineers, cartoonists and the like. More likely, they are looking for an opportunity to jump on the school benches, but and the others are waiting for that, including angry rivals at Apple. 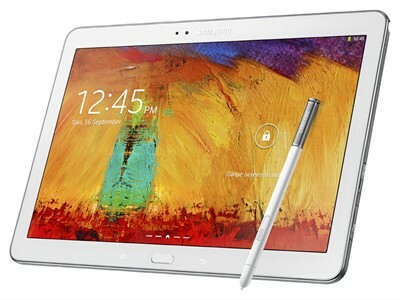 With the design, Galaxy Note 10.1 follows a similar way of thinking and designing as well as Note 3. Has been simplified, it looks more elegant, and got the same back side. In short, pleasant to the touch, does not bother with long usage, gives the impression that the tablet will harder slip off out of your hands. The edge around the screen is reduced, which gives it a cleaner look. Speakers were transferred to the edges. At the front remained only a camera and buttons to navigate Android – physical Home and capacitively for menu (left) and back (right). The latter two can be activated by using the S Pen, which is nice because you do not have to use the stylus and fingers for it. If you are expecting LED for notifications, you will not find it. Everything that could be moved, it is moved to the side: buttons to activate and control the volume on top, covered microSD slot on the right, micro USB slot at the bottom, the speakers on the left and right sides. The latter do not impress with the size, but looks can be deceiving – speakers are loud enough to identify a song even if you leave the tablet in another room. LCD display, resolution 2560 x 1600 pixels, is an excellent. Twice better resolution than its predecessor, provides a richer, more saturated colors, natural-looking, which can be well seen from almost any angle. It has an eight-megapixel camera, which falls short of the quality for the majority of the better smartphones today, and at the front is two-megapixel camera. But if I buy a tablet, photography for me would not be in the top ten priorities. The stylus is moved to the upper right corner, above the speakers. This position is in use shown as a natural place for right-handers, probably not really for left-handers. S Pen worked quickly, good reacting to the the movements and actions, distinguishing between the different levels of pressure, and recognizing the screen below. Despite strong engine – Samsung’s Exynos 5420, supported with gorgeous three gigabytes of RAM – Galaxy Note 10.1 still in its performance is getting stuck more than should. Jammed, presumably with the TouchWiz interface and unnecessary software generally. Paused when you opening the device, on the transition from one to another application, writing and drawing, opening multiple windows at once … almost everything. The battery capacity of 8820 mAh is on the verge of solid, although there is a lot of room for improvement. Please note that for review came model which supports only wi-fi. If you are going to use it for drawing, writing and the occasional surf, count on the autonomy of at least a day or two, maybe a little longer. And with video and intense surfing should take a full day without problems. As far as charging, Galaxy Note 10.1 is among those devices that you will leave overnight – in ideal conditions (turned off wi-fi, charging directly from the wall socket) it took nearly six hours to full capacity. The charger has a micro USB, but – oddly – not 3.0 as the Note 3. Summary : All in all, we can say that the Galaxy Note 10.1 is a step towards a world in which our children will wonder why we ever wrote in a paper notebook. This is a device that could be a useful assistant to professionals and to delight enthusiasts in the various areas that require sketches, drawings and notes immediately and transformation by hand created into digital.